Many may argue that the bathroom is one of the most personal rooms in your designer homes, and others will argue that it isn’t. In our opinion, the bathroom is one of the best areas to do interior decoration and to personalize it. The main reason being the bathroom can be transformed into numerous different things, especially if the room has the following essentials. 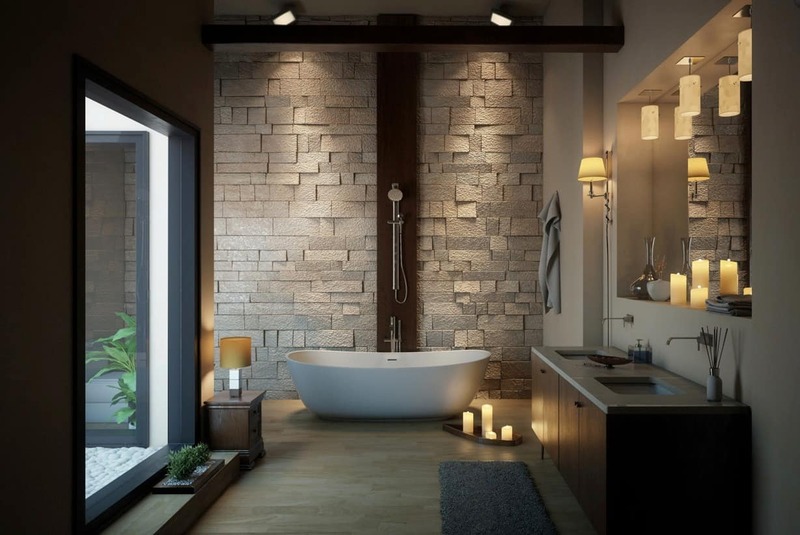 The following design ideas will enhance your beautiful homes bathroom and give you the perfect, home decor dreamy space. There is something very chic and elegant about having even lighting in the bathroom. Keep your light fixture similar to one another or identical to ensure the interior design offers an even display of lighting throughout. We love the design ideas of even lighting in the bathroom, especially when it is part of your sink decor or your vanity. Having even lighting has a spa-like effect that is warm and chic while still being dreamy and fun. The bathroom sink can be the perfect focal point in the bathroom of your designer homes due to it being one of the very first things people look at when they walk into the space. Additionally, the sink can be one of the only counter space you may have to place trinkets you love or decorative pieces to suit your interior design. Here are bathroom sink home design ideas that will bring your home design space back to life. A statement mirror could be perfect in the bathroom directly above a simple bowl sink. The difference in sizing of the two will bring that contemporary feel that is easy to focus on. Add a touch of intricacy by having unique lighting be apart of your decor. A statement mirror could be just what you need to bring your sink up to par. The idea is to have the statement mirror add to your bathroom sink that classic touch while still being a focal point. Whether you prefer a larger mirror or simply wish to have a mirror with a grander effect, the options are endless. 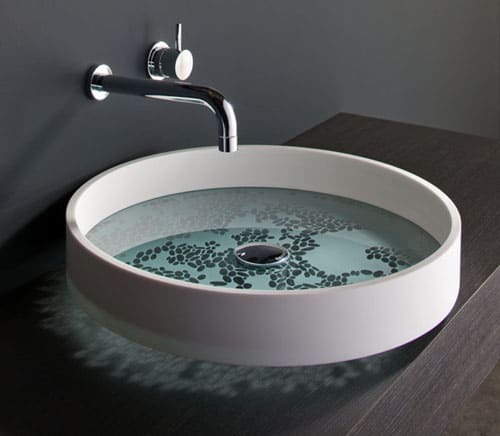 These unusual bathroom basins by Omvivo make a fab focal point in the modern bath. The Motif and KL basins have an artistic quality about them, executed in very different ways. The Motif basin is Zen, with its earthy pebble motif and simple palette of materials. But the look is really contemporary, a stunning complement to solid tile and stone, glass and even wood. The solid sides emphasize the “bottomless” effect of the etched-glass bottom. 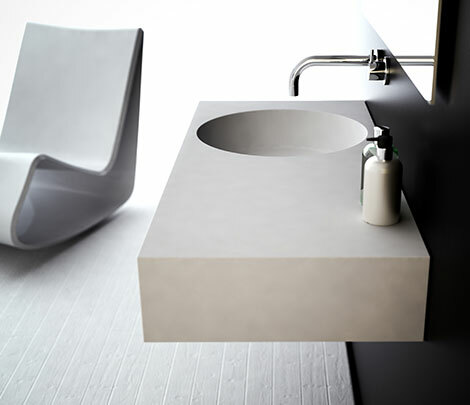 Create an elegant, concrete ambiance for abrasion with these black basins by Omvivo. Finished in Softskin, an alien blush blanket advised to be activated to the company’s solid apparent basins, the attending is abreast and chic. The corrective rubber-like awning gives a two-tone aftereffect and has a warm-to-the-touch quality. Choose from lavender, sky, charcoal or chicken – you can alike adjustment bespoke shades to suit. 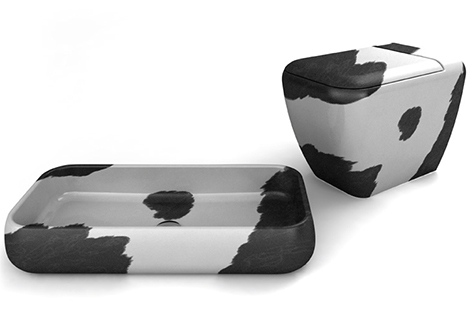 The fresh Softskin basin accumulating is a fun and animal accession to any avant-garde bath scheme. 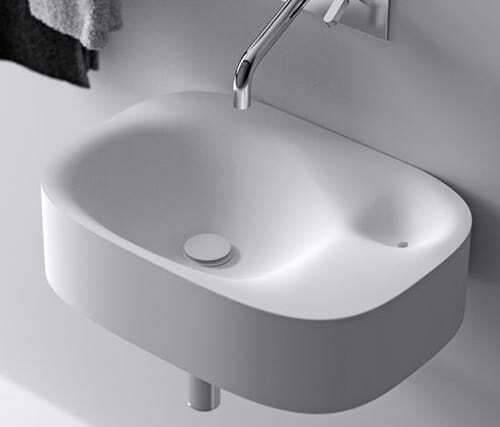 Available so far on the company’s Mono basement and basin, the Neo collection, its Latis basins, the KL basin and its CDesign 1330 and 620 models. For more information visit Omvivo. Popular Italian bath cast Agape is proving that baby can be sweet, with this bunched bath bore design. The Nivis bunched bore by Benedini Associati appearance two connected, abate hollows aural the accomplished fixture. We adulation the smooth, flowing, absolute accomplishment of these minimalist sinks, fabricated of white Cristalplant. Baptize fills the larger, capital bore and displaces into the smaller, accessory one, creating an alternate baptize carve in your bath every time you about-face it on. The Nivis Bore is accessible in wall-mounted and surface-mounted designs. For more information, go to Agape. Experiment with admeasurement and appearance to booty your bore from banausic to spa! These abnormal bore designs by Vaskeo accomplish a abundant accession to your bath or crumb room, creating an burning focal point with their unique, anarchistic forms. The Volkeo120 is a absolute pair, aggressive by the fluid, amoebic anatomy of baptize ripples. Like Yin and Yang, these air-conditioned sinks accompaniment anniversary added in looks and in function. 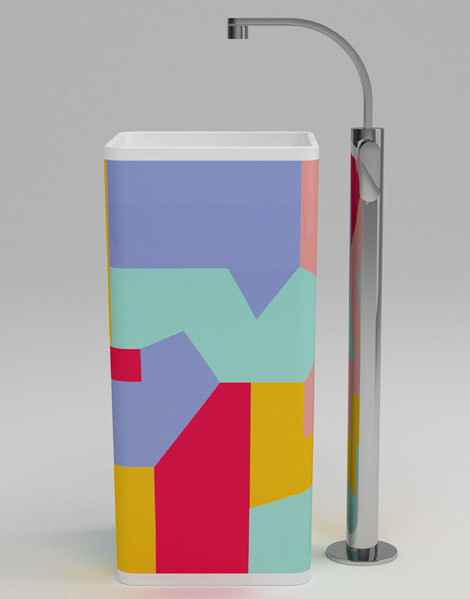 The Volkeo50 puts some attractiveness into your bath with its active colors and avant-garde look. And if it’s added avant-garde you’re after, analysis out the Diamond sink, which appearance angular curve and crisp, abreast edges that abruptness bottomward against the drain. And the allotment de attrition to the soothing, spa-inspired amplitude would absolutely be the Slalom sink, appropriate for its all-embracing ellipsoidal appearance and bouncing abject that makes its way to the cesspool in a abiding slope. Paired with some ultra-modern hardware, these abnormal bore designs are abiding to “wow”. Check them out at Vaskeo. 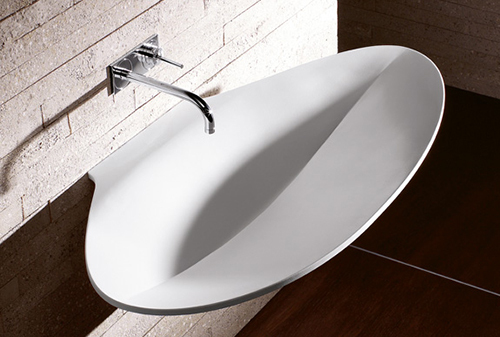 These avant-garde bore designs by Burgbad will transform your bathrooms and crumb apartment with their abreast attending and modern, minimalist feel. Inspired by the backdrop of water, the Pli bore designs and analogous bathtub designs affection organic, freeform silhouettes that acclaim ebb and flow. These affably advanced sinks appear wall-mounted, some aggregate seamlessly with their chip countertops. These sinks and bathtubs affection a glassy and bland exoteric with a clean, white palette, bringing a abstracted artful into your home. Complement your bath apartment with some basal chrome accouterments and a comfortable chandelier for the ultimate in spa-inspired indulgences. Check out these modern designs by visiting Burgbad. 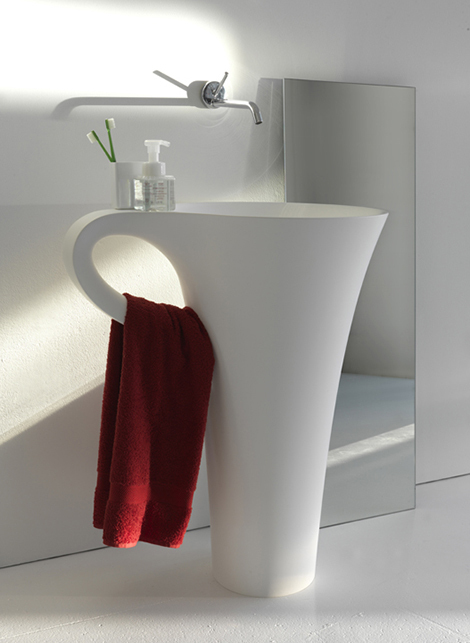 Bring some attractiveness to the bath with a chic, aesthetic washbasin by Artceram. The art basin Cup, advised by Meneghello Paolelli Associati, is absolutely a different basin architecture aggressive by a simple coffee cup. But this bore is annihilation but simple. 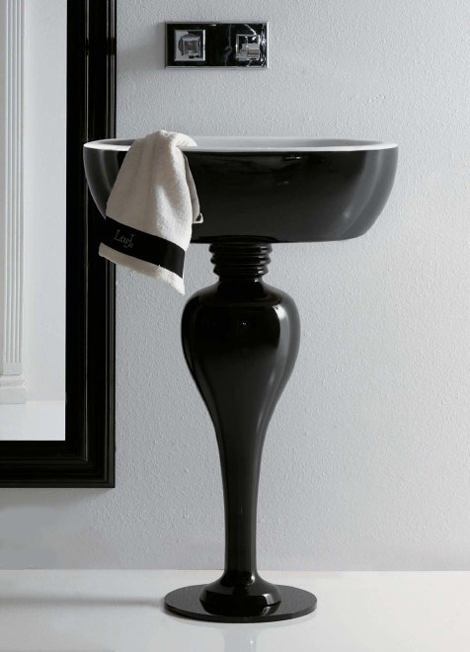 This avant-garde one-piece, freestanding washbasin boasts a alveolate abject that flutes out at the top, basic the rim. And the looping handle makes a abundant anhydrate hanger. This abreast accoutrement comes in all white, or with a atramentous exoteric that contrasts the white autogenous with affecting flair. 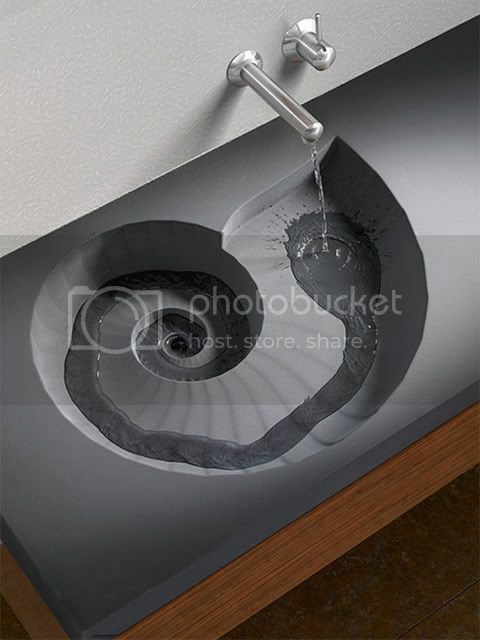 The sink’s abysmal basin is anatomic while abacus to the “cup” theme. Pair these washbasins with some air-conditioned wall-mounted accouterments and a mirror, and your abreast crumb allowance or bath is complete. More information is available at Artceram. 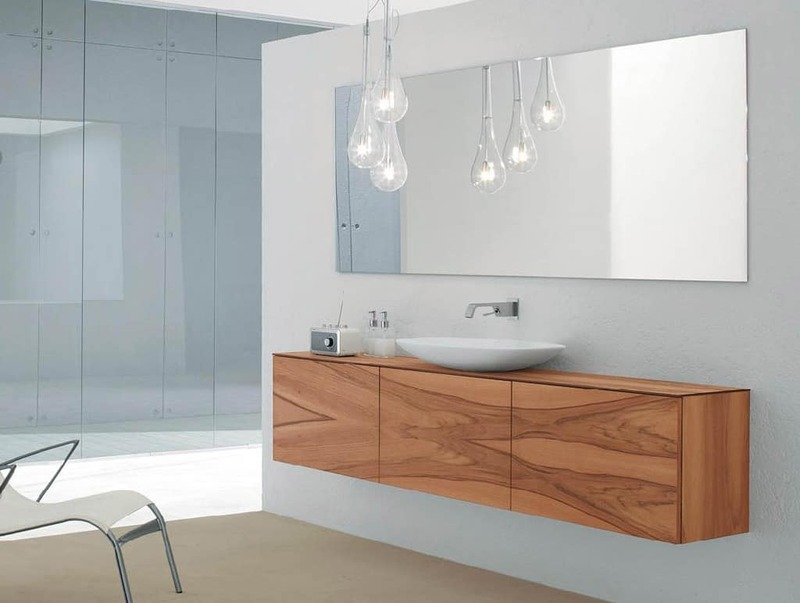 We adulate the fresh Neo, a able bath accumulating from Omvivo for the avant-garde home. The aggregation prides itself on a clean, abreast aesthetic. “The ambition was to actualize a bath ambit with apprehensible and effortless style, with the needs and desires of today’s affairs acerb influencing the design,” according to Omvivo. And in befitting with avant-garde must-haves, this able accumulating includes bristles basins and assorted configurations ill-fitted to any style, any space, from the small-but-sweet crumb allowance to the sprawling spa-style en suite. And the versatility! The wall-mounted “floating” basin proves that beneath is more; while a basin with vanity, abysmal drawers and adjustable shelves has a abode for aggregate and aggregate in its place. These solid acrylic sinks affection non-porous surfaces accessible in White, Mocha and Chamberry finish. For more information on Neo bathroom visit Omvivo. Italian association Ceramica Cielo is proof which in a universe of conform as well as design, it’s a jungle out there! The all new Jungle collection of bathroom sinks is totally wild in every sense of the word, delivering splashy sink style. The association has taken a haute-couture proceed to design, with “fashion edition” releases entrance each year. This new line includes exotic patterns like Iguana and Crocodile, and the totally different, home-on-the-range Pony motif that’s warm yet contemporary and sophisticated, a brilliant design idea for your homes. These unconventional, eccentric sinks come in a range of color choices that will look great as a fashionable and functional focal point in any bathroom or powder room. This cool Midas sink by Galassia makes a great addition to traditional bathroom designs, thanks to its romantic essence. These cool pedestal sinks by Galassia are almost too beautiful to use – almost! A pedestal sink is one excellent way to provide more space in small bathrooms. Boasting fabulous fashion and function rolled into one, the Midas pedestal sink features a statuesque silhouette that is golden. A large, deep basin is perched atop a curvaceous base inspired by the feminine form, complemented by a rich palette of classic white, dramatic black and gold – swoon! Or, add some flair to your minimalist bath with this opulent piece. Make a statement in your powder room, or put a pair in your bathroom – you’ll never look back. This is one timeless design you’ll always love. Unlike most bathroom sinks, which are set into a vanity, the pedestal sink does not have a vanity. Instead it is partly supported by the wall onto which it is attached, and by a pedestal or small column that sits beneath the sink. 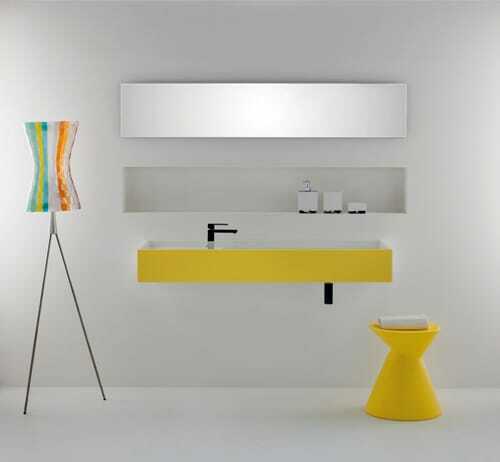 Wake up your dull restroom decor with these striking colored pedestal sinks by Italian bathroom brand Ceramica Flaminia. The modern Monowash sink is a vibrant pedestal sink by designer Giulio Cappellini that makes color the center of attention. The simple, square-shaped free-standing basin has a soft look with gently rounded edges, fashioned from a single ceramic block that tapers slightly at the base for added visual interest with a compact footprint ideal for smaller spaces. But the look is big! The modern motif is done in vibrant colors – red, yellow, pink, lilac and aqua – for a splashy look that really stands out. Complement this funky fixture with a cool chrome feature faucet. 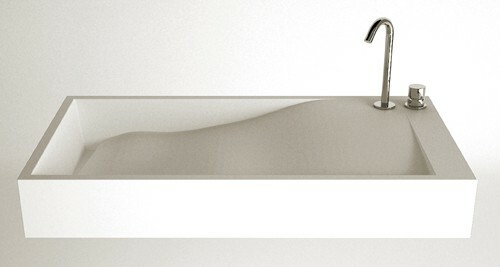 For more info on the Monowash sink, visit Ceramica Flaminia. Marking an evolution in bathroom sink design, this tall washbasin by WET is changing the way bathrooms look and the way they work. While the usual washbasin measures 86 cm in height, the Mr. Big extra-tall washbasin stands a full 106 cm – that’s the height of a standard bar, allowing you to wash your face, hands and brush your teeth while standing upright and in ergonomic harmony. Darwin would be proud! Making its debut at the Salone Internazionale del Bagno in Milan, Italy, the Mr. Big washbasin boasts a cool, contemporary look with a slightly tapered column base topped by a wide washbasin with integrated surround and taps. 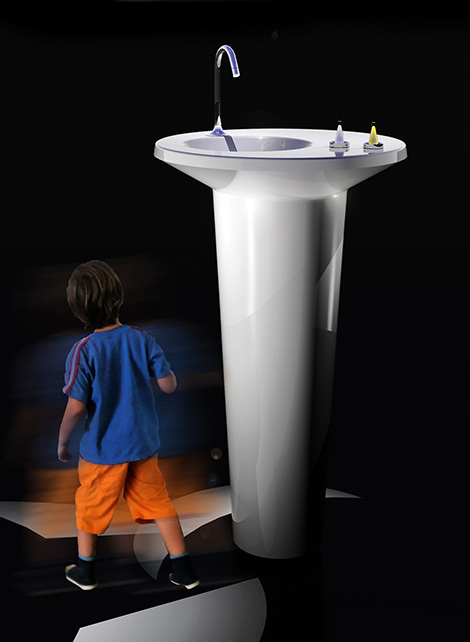 For more on the tall washbasin, visit WET.